The Happiness Factor « The Appledrive Project Inc. It was an early start for us. Afraid to not wake up on time, Ruth, my fellow volunteer, and I decided not to sleep at all to make it to call time at 5:30am. 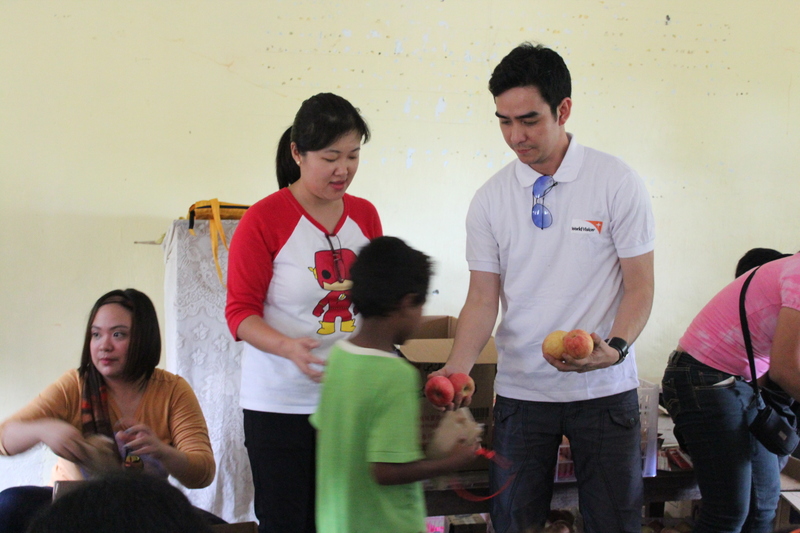 Together with Appleboy and our World Vision friends, the team headed out to Iba, Zambales to celebrate The Appledrive Project’s second year anniversary. Goofing around coz it was still early. Too early. Mabuti na ang walang tulog kaysa walang gising. It was a long drive. We were able to catch some sleep along the way, as planned. We briefly stopped over at a gas station to have a quick breakfast to nourish our bodies in anticipation of the activities in store for the day. We arrived a little over lunch. The community we went to was in a relatively secluded area. If entered by foot, one would walk several stretches of dirt road amid bushes around to reach the area. 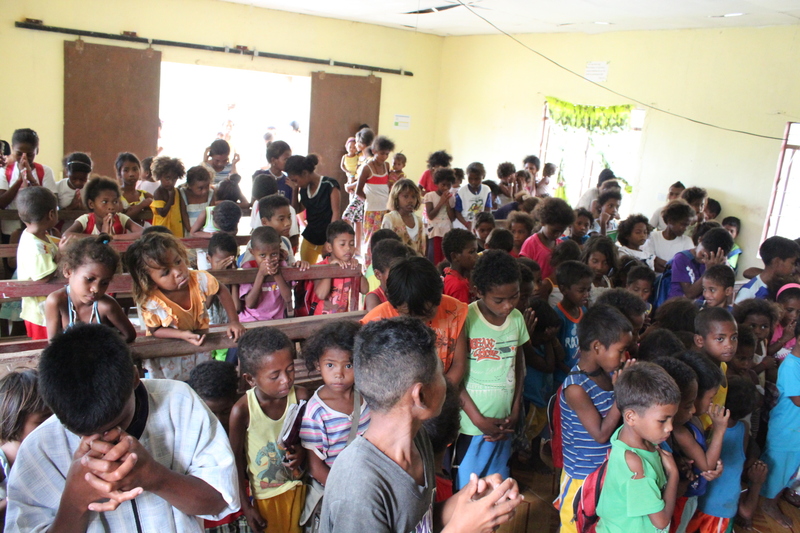 The World Vision Coordinator, Ate Perla, indulged us with stories about them, also saying that this particular community we will visit are pure Aetas, since not many people from “outside” get to mingle with them. 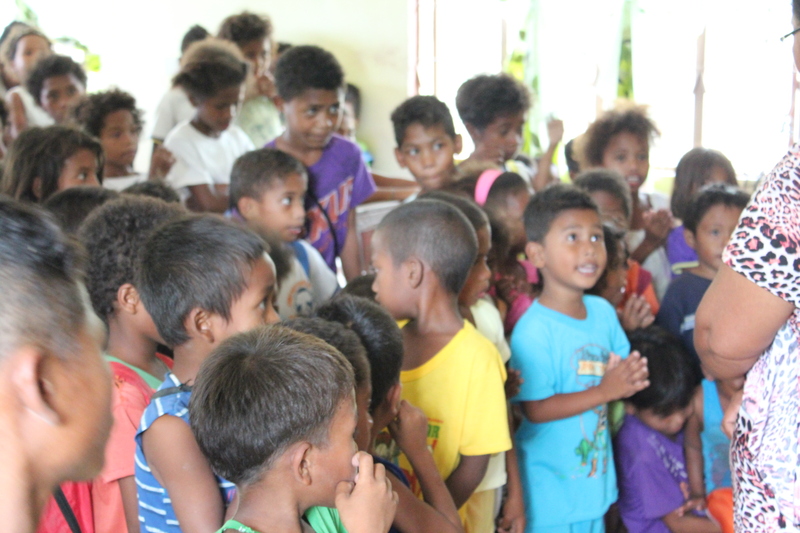 I was particularly ecstatic to see the anticipation and excitement in the Aeta kids’ faces. 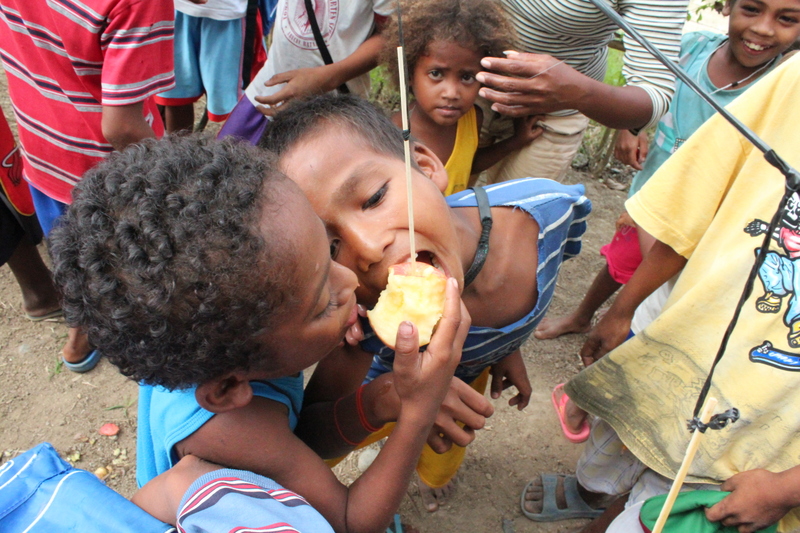 Kids, being kids, are always happy to receive a treat or two. Of course, this being another year of celebration for the many successful Appledrives prior, The Appledrive Project has just that in store for them! 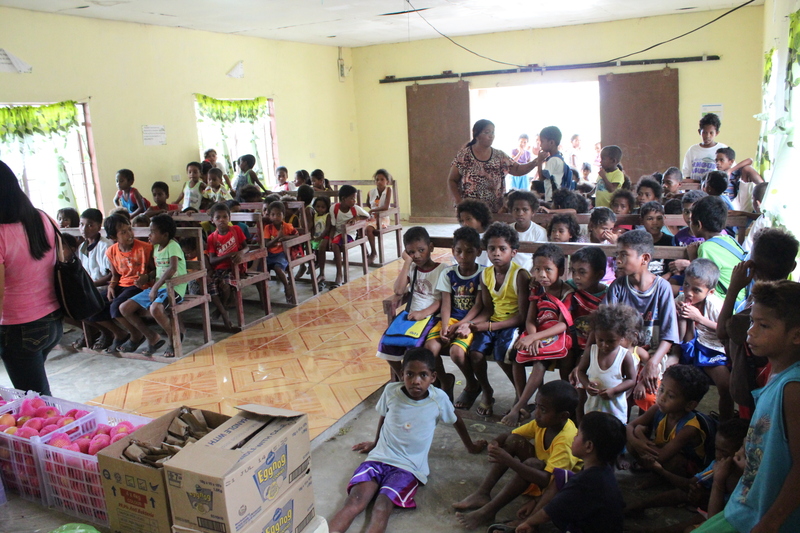 The Aeta kids waiting for the program to begin. 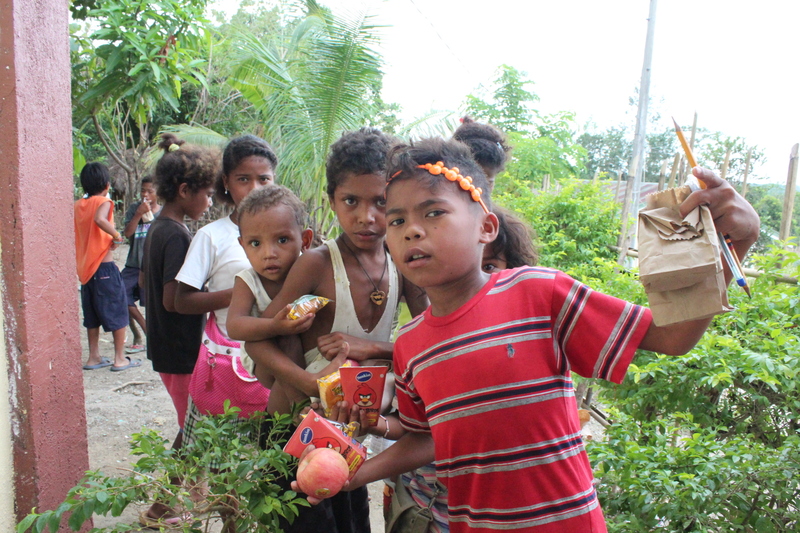 As our van cruised towards the holding area, more kids gathered and sat in the makeshift chapel, well-behaved, curiously following us with onward glances, wondering what goodies those box contained. Some of them, the older ones, helped with the unloading. Not long after, more kids and parents gathered and the program commenced. Let’s begin with a prayer. 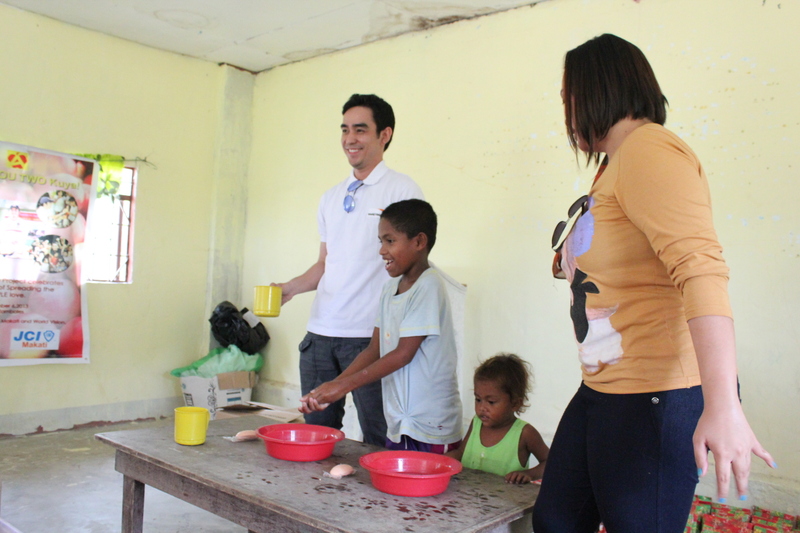 The program started with teaching the kids the importance of proper hand washing. Mr. Appleboy, Rj and Ruth demonstrated how it was done right on the stage. Later, the kids gamely volunteered to show their peers how it was done as well. 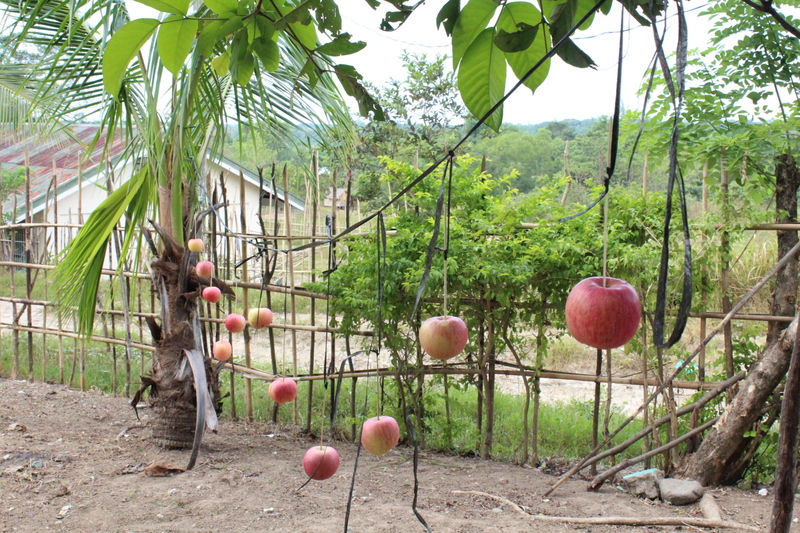 Then we headed outside for the next part of the program where a string of apples were dangled from tree to tree. Apple-eating contest? The kids were paired and had the time of their lives trying to best the other teams on a race to finish eating first. Parents and other kids looked on. 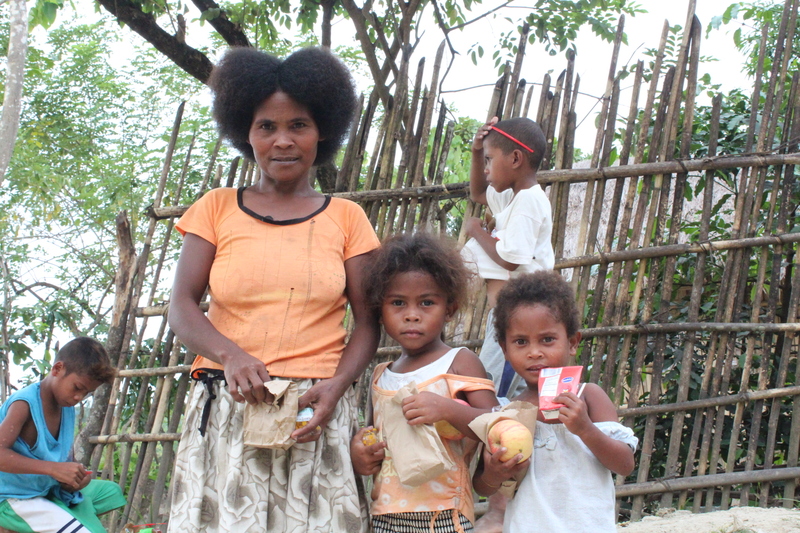 Who would have thought that even with these Aetas, stage parents were prevalent! It was an entertaining sight to see. Later, we awarded prices for the winners in the mini game. Afterwards, we distributed our lootbags and apples (of course!) for all the kids, as they lined up properly waiting for their turn. As the program came to a close, the parents, the community leaders, thanked us, and even gave sweet watermelons to take home, a simple token which they have harvested themselves. They said it isn’t much. Truth is, as a volunteer, it is humbling to be able to share with these people things they don’t have or don’t often get to have. They live simple lives. Perhaps, by our standards, they may even be described as poor, lesser fortunate, or what name you. It teaches you that you don’t always need to have much to live and be happy. And to be able to share with them these simple joys, in any way, be it in time or resources, is an afternoon well spent indeed. 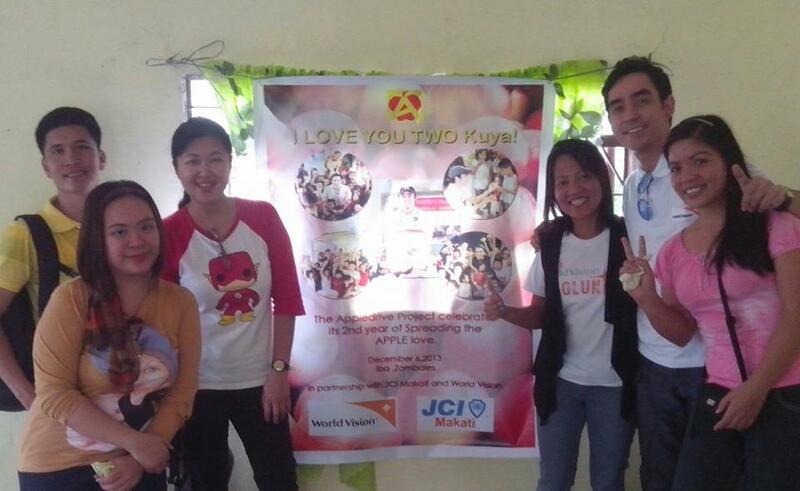 Every time I join outreach activities such as these, I can’t help but always feel humbled after the experience. To know you have somehow put smiles on those kids’ faces, knowing the little things you have done for them will somehow make a difference in their lives…is like a seed of joy that when cultivated and nurtured, buds into happiness and is multiplied over time through sharing with others. It’s not particularly about what you give, but your ability to share, that a simple act of generosity goes a long way. I hope that as those kids grow up, they will always remember to also be a channel of blessings to others. We often live busy lives that we forget to slow down once in awhile, to look back and give back. When we share happiness, it not only multiplies the feelings of elation within us, but it also proliferates to those near us. Happiness is infectious. We never really quite know how it spreads and how others are impacted by it along the way. Happy 2nd year to The Appledrive Project! Cheers!